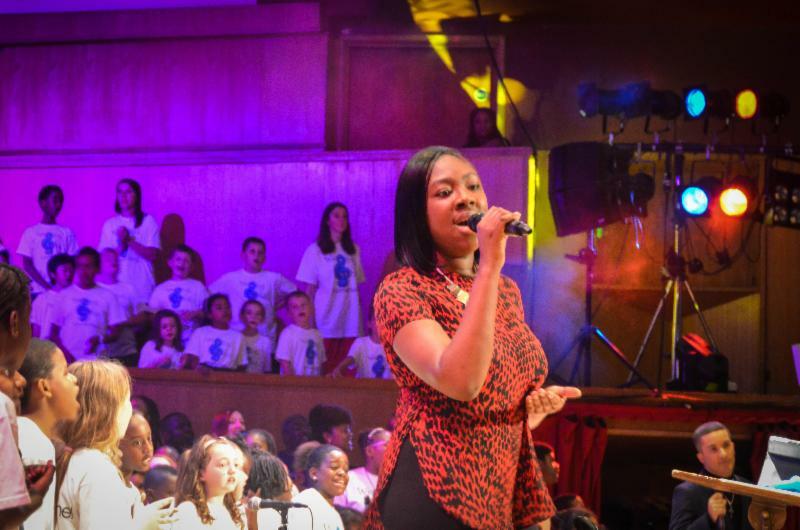 The voices of 400 pupils from schools based in South London, MOBO nominated gospel outfit IDMC, and teenage singing sensation Liberty Scott can be heard on the exciting new single The Beauty in Me, the debut release from music organisation, We Sing U Sing. The single aims to raise money for Operation Smile, a charity which provides medical care and corrective surgery for thousands of children in Africa, Asia and South America who are born with cleft palettes – and is out now. The single has been written by John Fisher, director of IDMC and founder of We Sing U Sing, an organisation which runs gospel music workshops in schools throughout South London. He stated: "I love teaching school pupils how to sing gospel music as it helps them develop self confidence and much needed social skills and it was exciting working on this single. More importantly the children loved it too." He continued: "It's got a message that the youth of today need to hear which is that everyone has a God-given beauty which we must search for. "Beauty In Me has also been recorded for a good cause, and some of the proceeds will go towards raising money for a great charity that helps children in the developing world as well."